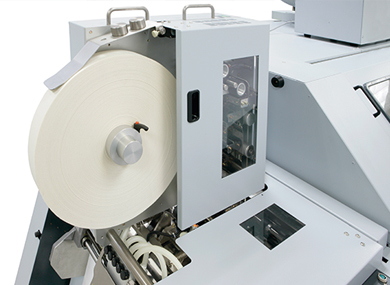 The innovative Standard Horizon CABS 6000 perfect binding system is bringing new levels of automation to production bookbinding. 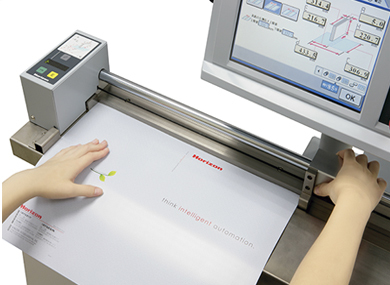 The system includes the MG-600 Gatherer, SB-17 seventeen-clamp Perfect Binder, and a HT-110 Three-knife Trimmer. The system can produce up to 6,000 books/hour. 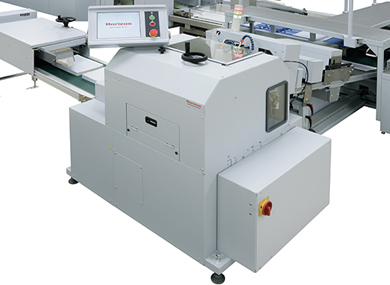 Key features: An in-line stacker for stand alone gathering, twin milling stations, automated in-line cover scoring, gauze feeding for hard cover book blocks, and advanced quality control features such as CCD cameras, digital caliper thickness detection, and weight checking. Easy glue changeover: The CABS 6000 is equipped with quick-change EVA and PUR glue tanks that slide out on rails to a wheeled trolley. 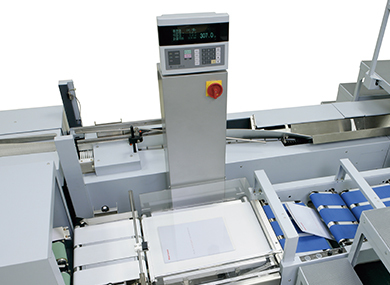 Operators can easily changeover from one binding style to another in about 5 minutes. Cutting and trimming: The HT-110 Three-knife Trimmer produces trimmed books from 5.71” x 4.05” to 14.4” x 11.81”. Bound books are transported into the stream stack orientator (SS-110) to accumulate a predetermined number of books (up to 100mm) for trimming in the HT-110. The SS-110 is set up automatically according to the setting data from HT-110. Fine adjustment can be performed through a large touch panel display. The weight checking system detects any books that are missing a cover or signature, and delivers the errors into a reject tray. When making book blocks for case binding books, the GF-17 cuts the gauze to the appropriate length before feeding. All necessary setups can be automatically performed by reading the length of the actual book block and cover, instead of having to manually input the size data into the operation panel.